Standing as the only competing title to video game developer and publisher Ubisoft's other blockbuster franchise Assassin's Creed, Watch Dogs was released back in November 2014 as one of the major premiere next-generation console titles on both PlayStation 4 and Xbox One. Debuting to wide-spread anticipation from both the gaming elite and casual players alike, the title went on to receive mixed critical reception (due to some technical issues and overall gameplay and plot problems), though the game did break first day sales records for Ubisoft and was the fastest selling new IP in the UK at the time of its launch day. Following the relative success of the first game, the wait for Watch Dogs 2 has become the center of significant attention within the gaming industry and surrounding community. Following recent news that has the production slated for release before April 2017, the forthcoming unveiling of premiere footage from the hotly anticipated sequel at E3 has finally given rise to the official release of a teaser trailer for the new title. 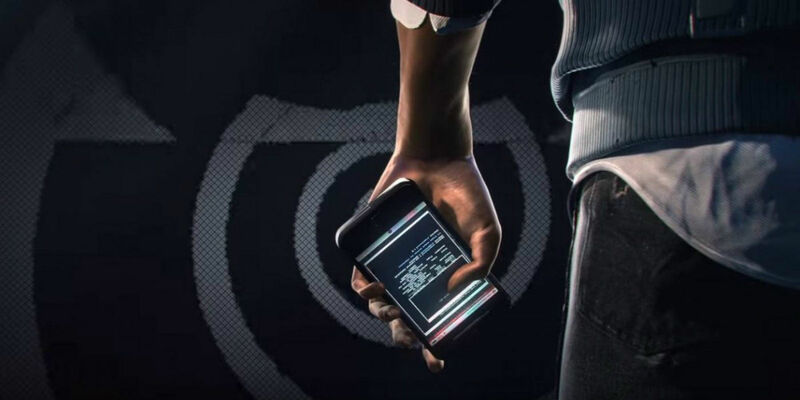 In the footage featured above, Ubisoft teases gamers with a thirty-second clip of an unidentified human hand holding a cell phone while scrolling through reams of cellular data set against a background of familiar walls of static and computer generated images from the first game. With the official E3 presentation currently slated for this Wednesday, June 8, at 9am PT, players the world over can begin anticipating the first intimated return to the whirlwind third-person action-adventure title. UPDATE: Thanks to ads for Watch Dogs 2 that appeared on IGN (via Eurogamer), we now know that the game is set for release on November 15th, 2016. The ads also confirm rumors that the game will be set in San Francisco. Little has yet to be released regarding the setting or main protagonist to be featured in Watch Dogs 2, which is probably for the better if Ubisoft hopes to attract a significant amount of attention when they finally unveil the first batch of gameplay footage at E3 later this week. Based on the barest glimpse at the appearences of the new game featured in the teaser, fans of the still-young franchise are in for a real treat when the sequel finally sees release sometime within the first four months of 2017. Whether or not Watch Dogs 2 lives up to the hype and subsequent of praise of its predecessor's novel hacking elements and admirable mission variety remains to be seen. Either way, here's to hoping that the new game proves to be another financial success for Ubisoft that gives raise to a franchise to match the likes of the equally well-liked Assassin's Creed video game series. Watch Dogs 2 is set for release on November 15th, 2016.